Well, you’ll have to listen. I’m going to put out an extra that is just the contest winner. We’ve had three sets of grandparents here in the last few weeks, so it’s been pretty hectic. I wasn’t really expecting that. My very next episode will be a new branch of the podcast called Learn to Play. I’ll teach you how to play Alien City. I have the prep work done and am in the process of doing both a flash (swf) and Quicktime movie (mov) of the episode to see which is better. That should come out later this week. The LtP webcast will go over rules to games and possibly include some strategic/tactical analysis of specific situations in the game. Alien City is complex enough that I’m only going to do a rules explanation in LtP#1. The next audio podcast (Episode 6) will be a very brief essay on game components followed by two reviews- DVONN and ZERTZ. You still have time to influence the strategy sections. I have most of this episode recorded, but I’m still waffling on what to say about strategy. I’ll put that out as soon as I figure out the strategy stuff. No later than the middle of next week. 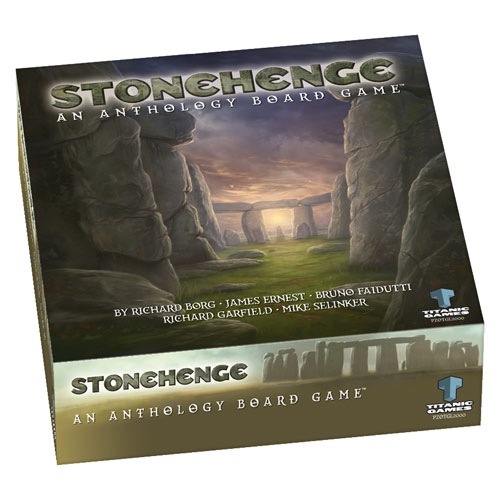 Episode 7 will be on Stonehenge and an interview with Mike Selinker. I’ve very excited about Stonehenge. I’m recording the interview on Friday and hope to release it 2 weeks after Episode 6 is released. Episode 8 will finish up the GIPF series. I’m still wide open on the strategy for this. I have the review part done. If there is interest, and if the Learn to Play episode looks good, I’ll do a learn to play for the series. The rules episodes for those should be pretty quick. Well, I haven’t forgotten about this. If you check my mission, I say that I won’t let this interfere with meatlife. The corollary to that is that meatlife might interfere with this. At the end of last year, I had a lot of things come up. I injured myself to the point where I couldn’t spend a lot of time sitting at the computer, my eldest dog got very ill and eventually died, a tree fell on my car and fence (the fence still isn’t fixed). I wound up losing THREE recorded shows in post. You think I’d learn to back up the originals, but I didn’t. Then the holidays came and went. It wasn’t all bad news, in that time, we found out my wife is pregnant again, I won prizes from a Board Game Babylon contest and a Dice Tower contest. But in the end, I couldn’t get started with doing the show until mid-January. Then I just slacked off in podcasting for a while. I spent a lot of time recovering and getting everything back in order. I do have four complete shows scripted (except for the news section). Two finish off the Gipf series, one show on Tournaments and Cannon (which I had hoped publish before last November) and one on the Icehouse Game system and Homeworlds. I’m almost finished with the fifth- the piecepack game system and Alien City. I’ll try to start recording ASAP and I’ll carefully back up my originals. Thanks for your patience.